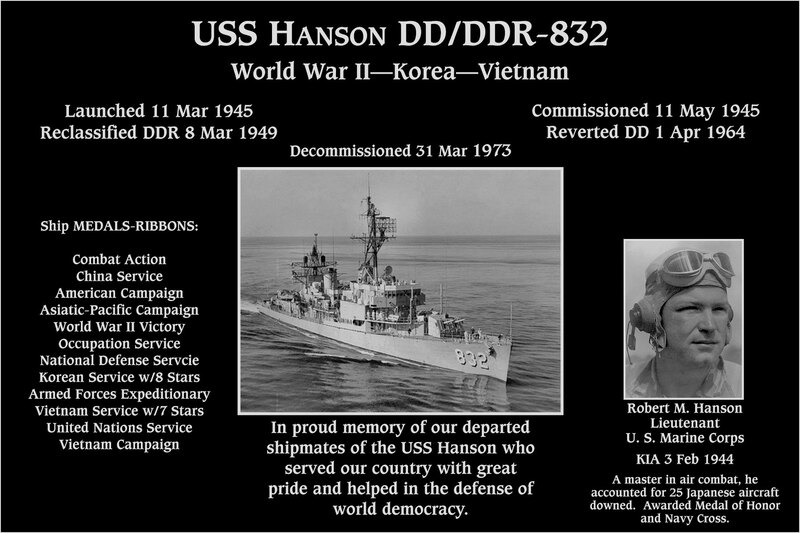 USSHANSON832.org is the premier source of the US Navy Destroyer USS Hanson DD832/DDR832. We are dedicated to preserving her history and the stories of the servicemen who once served faithfully aboard. 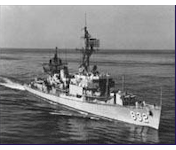 The USS Hanson 832 has just completed the update to the latest version which makes the site responsive to different screen sizes including mobile devices. We hope you all enjoy it. We will tour Arlington National Cemetery, the War Memorials, and all major sites in Washington DC will be easily accessible. Got some excellent new pictures of the 1960 and 1962 WestPac Cruises (at bottom of collection). Many thanks to Roger Austin!! Roger Austin has submitted new pictures on the 2018 San Diego Reunion. Thank you Roger. Hope you all enjoy the memories. Many thanks to Roger Austin for sharing. Enjoy! Pictures of the 2018 Reunion in San Diego are needed for the website. Anyone who attended that wishes to contribute please share them with Carl or Ozzy (emails in contact page). Now it's even easier to keep in contact so please take advantage of this service. If you wish to have your email to the list please fill out the registration form in the Crew section, or send Carl Pearson an email with your information. For your email security, all email addresses are encoded in a script that prevents web bots from scanning the address and send you unsolicited spam.